Brand new TD320126 Team Durango Wing Mounts DEX210. 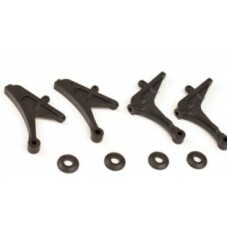 These Team Durango wing mounts are manufactured from high quality composite material. Designed to withstand the rigours of off-road racing, these strong and durable wing mounts have been designed to allow them to flex under pressure.